There are few places on earth where you can come eye to eye with the greatest animals that walk our planet… one of this places, perhaps the best one, is Tanzania. This country was blessed with some of the most beautiful landscapes on earth. The perfect beaches of Zanzibar, the iconic Kilimanjaro and of course the wild savannas of Africa. Tanzania is paradise for animal lovers. On this trip we’ll take you to see the country on a journey that we promise to be unforgettable. Let’s explore the natural parks where you can see millions of animals in their natural habit. Let’s go enjoy some of the best beaches on the island of Zanzibar. It will be a journey full of emotions and adventure to the interior of Mother Africa! Vídeo da Tanzânia feito pelo João Cajuda e que mostra alguns dos lugares que irás visitar. We got the land in Africa, the smell and the heat here are already different. 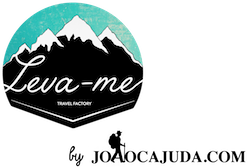 On site will be the travel leader John Cajuda or Mariana Vaz (depending on date). We follow the hotel route to transfer to Arusha where the whole group will gather. Along the way you can still enjoy the small villages on the roadside, red and soil stalls exhibiting the most varied tropical fruits, with luck, if the sky is clear you can even see the gigantic summit Kilimanjaro covered by its glaciers. After doing the check-in at the hotel the afternoon is free to dinner time, when the entire group meets for a brief presentation of the tour to clarify some questions you have. We’ll arrive to African lands. Here the smell and the heat are already different. On site will be the travel leader João Cajuda or Mariana Vaz (depending on date). We’ll go on the transfer to Arusha, where the whole group will gather. Along the way you can still enjoy the small villages on the roadside, red and soil stalls exhibiting the most varied tropical fruits. If lucky, the sky is clear and you can even see the gigantic summit Kilimanjaro covered by its glaciers. After doing the check-in at the hotel the afternoon is free until dinner time. By that time, the entire group meets for a brief presentation of the tour and to clarify some possible doubts. We will wake up early, after all we came to explore the savannas and not to sleep. After all the tribe gets in the jeeps, We’ll keep on to the first natural park, Tarangire. The Tarangire National Park is the sixth largest national park in Tanzania, after Ruaha, Serengeti, Mikumi, Katavi and Mkomazi. The national park is located in Manyara region. The park’s name comes from the Tarangire River that runs through the park, the only source of water for wild animals during dry seasons. It has an area of approximately 2,850 square kilometers. The landscape and vegetation is extremely diverse, a mixture that you can not find any other place in northern Tanzania. The hilly landscape is dotted with dense forest, grass and of course with the famous and beautiful trees of Baobab. The Baobabs come to be 5 to 30m in height and have diameters of trunk between 7 to 11m. Of the nine species, six are native of Madagascar (I really want to go see them), two are native of continental Africa and the Arabian Peninsula, and one is native of Australia. Tarangire is also home to over 550 species of birds. The park is a haven for bird enthusiasts. Here you can find dozens of species even in the dry season. Also you will have the first meeting with Giraffes, Elephants, Lions, etc … After a quick, but memorable first lunch, in the middle of the savanna we will return to road towards the Manyara Park. The road is very beautiful, we’ll pass many street markets, villages and Lake Manyara, a giant lake that is home to a diverse array of wildlife. It’s where we will have dinner and sleep. We’ll wake up very early to visit the Hadzabe tribe. The Hadzabe are an indigenous ethnic group living near the lake Eyasi. They live as hunters, the same way their ancestors did for thousands of years. They are considered one of the last tribes of hunters in the world and today we are going to see them hunt in the morning. The village of the Hadzabe is located in the middle of nowhere. They live in small huts made of dried mud and tree trunks. The only contact they have with the “outside world” is when some tourists visit their area. There are not,nor even want to be related to any other civilizations. To communicate they have their own language, the Khoisan. Before start hunting, we will have the opportunity to visit the cave where they spend most of their day to build bows and arrows, to rest and smoke. We will learn how to make fire with only two sticks, very interesting. The hunting will start when the chief of the tribe is ready. Usually they eat monkeys, wild boars and also honey and fruit when available. They use dogs (many dogs) to help them catch the animals during the hunt. At the end of the visit we will continue our way into the heart of Tanzania, to Serengeti. It will be a 6-hour journey by dirt roads. After check-in we’ll have dinner and relax by the pool. Serengeti could be named WOW! That was the word I used incessantly since I entered the park. Today we’ll wander through the endless plains of the Serengeti. It is the shrine of the most famous wildlife in the world, unequaled for its natural beauty and scientific value. With more than two million wildebeest, half a million springbok and zebras, 3000 lions, many elephants and other species … The Serengeti has the highest concentration of animals in Africa. The day will be to observe the thousands of animals wandering here … the leader is Mother Nature and the law of the strongest. With some luck you will watch hunting. Get ready for being a day of great emotions. After a walk through the park, we’ll stop for lunch. In the afternoon we’ll continue our adventure through the park and later we’ll return to the hotel so we can enjoy the wonderful swimming pool . We will wake up early, have breakfast, check-out and move to a new park, Ngorongoro Crater. Ngorongoro Conservation Area is a UNESCO World Heritage Site located 180 km from Arusha. Ngorongoro means “gift of life”. It is believed that its formation took place 2.5 million years after a huge active volcano have collapsed into it, leaving this big boiler that is now considered one of the seven natural wonders in Africa. This huge crater about 19 km in diameter and 8,292 square kilometers is home to thousands of species. Approximately 25,000 large animals live here, like black rhinoceros, African buffalo, hippo, zebra, gazelles, crocodiles, impala, leopard, lions, etc. After a visit to the interior of crater and a lunch close to our Hippos friends, we’ll go to the hotel. You’ll be able to enjoy the swimming pool, with a stunning view for the park, and relax til the sunset, that promises to be phenomenal. We’ll have dinner and sleep. After checking out and depart towards Arusha,will be the end of our Safari, but there is still much more to discover. We’ll catch a flight to Zanzibar, a pearl of the African coast. Zanzibar is an exotic island with such a strong turquoise blue water, that seems photoshop. The island has a tropical architecture with bungalows made of palm leaf that contrast with the houses with Arabic details. Known as the island of spices, Zanzibar has a lot to offer … including white sand beaches ideal to rest. After the flight, we’ll go on our private transfer to the hotel. After check-in you can put on your bikini, pick up a coconut water, run through the palm trees and fall into the Indian Ocean waters. We will stay in this paradise for four nights. Spice Tour: We will visit a farm in the countryside to try and understand everything about the spices. Where they come from, what are there’s benefits… at the end you can buy all the products. After finishing the Spice tour we will head to the famous The Rock. The Rock is a picturesque house build in the middle of the sea. Travelers can have lunch or take a walk at the beach. Lunch at the The Rock not included. Extra Activity: Do some snorkeling activities is the crystal clear waters of Zanzibar. This activity is not included in the package, travelers are able to join or not this activity. Price is 50€ per person. Free day to stay at the beach. After having breakfast, we’ll check out and go on our private transfer to Zanzibar airport. Then each traveler goes their on way to the final destination.. Domestic flight in economy class Arusha / Kilimanjaro to Zanzibar, 20 kg of luggage. All accommodation in lodges and boutique hotelS (9 nights in total). Transfers from the airport in Arusha (within the program dates). Transfers from the airport in Zanzibar (within the program dates and time). Four days of Safari activities. Visit to the Hadzabe tribe. Entries in Tarangire parks, Manyara, Serengeti and Ngorongoro. Some meals not included in the itinerary / Drinks even in included meals. Entry visa in Tanzania ($ 50 US payable on arrival in the country). Anything that is not mentioned in “What’s Included”. This trip is for people who like to have fun and make friends, regardless of age. We are sure that if you come with a relaxed mind you’ll have an unforgettable week. It is important to understand that this is an adventure trip, and so, it is always unforeseen. Traveling in Tanzania is not like going to the Four Seasons in Paris … the internet can have weak sign or not work, the air conditioning can break, the shower can not come out with so much pressure and hot as in your house, etc. .. also, unfortunately good weather is not guarantee, sometimes it rains, the sea water is stirred and it is important that you know that there may be changes in the itinerary. what it would be a trip without some adventure ?! All the hotels are picked by João Cajuda. We will be accommodated in different hotels, some lodges 3 *** and 4 **** and finally a beautiful boutique hotel in Zanzibar. How are the hotels in Savannah? There are several types of lodges in Africa, there are tents and stone structure. We will always stay in stone lodges, so it is easier for travelers to move and relax in the recreational areas of the lodges. Of course, Tanzania has millions of tourists every year. It is important to understand that you are in wildlife habitat and sometimes animals approach the lodges. But as you should image all hotels have guards and it’s very uncommon for dangerous situations to happen. You also need to take care when you do the safari, do not get the members as the head or arms out of the jeep when you are very close to wildlife. I Know that when you see a baby lion drinking, you will feel like jumping out of jeep hold it, but remember, this is not your environment and these are wild animals. 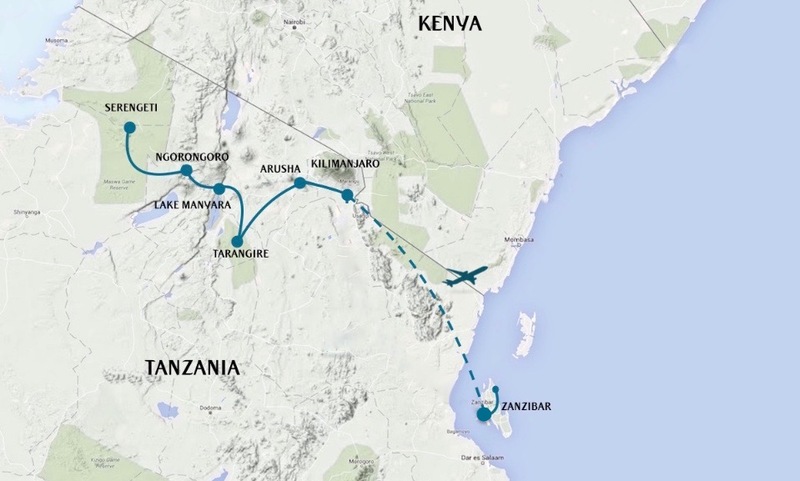 It only includes the one-way flight from Arusha to Zanzibar. As for the international flight, it is not included, you will have to purchase it individually. It depends on the demand to those dates, but it willl be minimum 10 and maximum 22. No, there are travelers coming from different parts of the world. So the meeting point is in Arusha. You have the flexibility to choose the time of the flight that most please you. How do we meet in Tanzania? We’ll take the data and flight schedules of all travelers. When arriving Arusha airport, you will have a driver waiting. He will drive you to the hotel where the tour leader John Cajuda or Mariana Vaz will welcome you. If you want to go to Tanzania a few days before, or stay after, can I book accommodation with you? What if I want to climb Kilimanjaro? As many as you want. The maximum of travelers is 23 travelers and 1 tour leader.